This month Laney Mead over at the Art Elements blog chose the theme of "Stars" for the theme of the month. At first glance, the theme seems pretty specific, but she left it open for a broader approach. My first design plays on the star of the ocean... the starfish! I had gotten the idea to put a bunch of Unicorn Beads drops along my bracelet chain (instead of a different type of bead I've been using) from one of my fellow Inspired by Nature retreat goers. 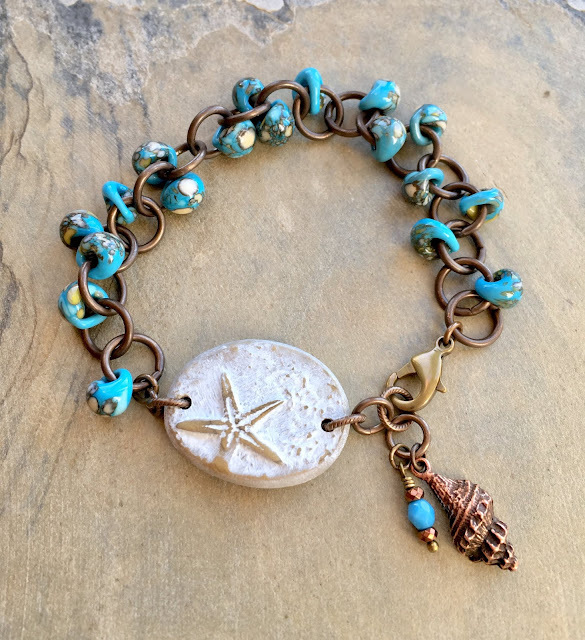 I thought that these turquoise with white, cream, and black had a beach feel and coordinated nicely with the two-holed starfish bead from Heather Powers of Humblebeads. I added a fun shell charm and some Czech glass beads to the clasp side of the bracelet to finish things off. I remembered that I had some Twinkiedinky charms that I bought a while back. They have a quote on them from Mary Poppins by P.L. Travers... "You can't expect two stars to drop in the same field in the same lifetime." So the star theme plays out here in words instead of shapes or images, but I've been waiting for an excuse to play with these! Lastly, I ended up making one Christmas ornament with a star pattern across a heart shape. I used a borrowed rubber stamped image as the resist for this salt water etched copper. I added the little dots around the border by hand with a Sharpie. That one sold at last Sunday's Holiday Market but the other 4 are still available. :) I plan to work on another round of these ornaments this week. This is a blog hop! 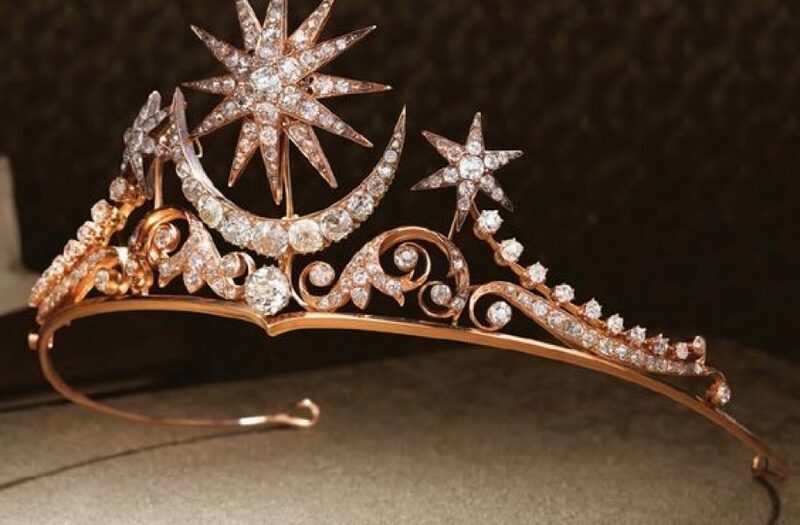 Take some time to see what starry creations that everyone else created! The earrings are definitely my favorite - an unique interpretation and such an elegant look, both Christmas-y and summery! The turquoise color beads in the bracelet are a good contrast to the focal and the copper ornaments are so pretty! I love the Mary Poppins books, so the earrings are my favorite, but I also love the ornaments! Oh my! Where to start? I love your bracelet-those drop beads on the links add such a special touch. The earrings with the Mary Poppins quote are so sweet. 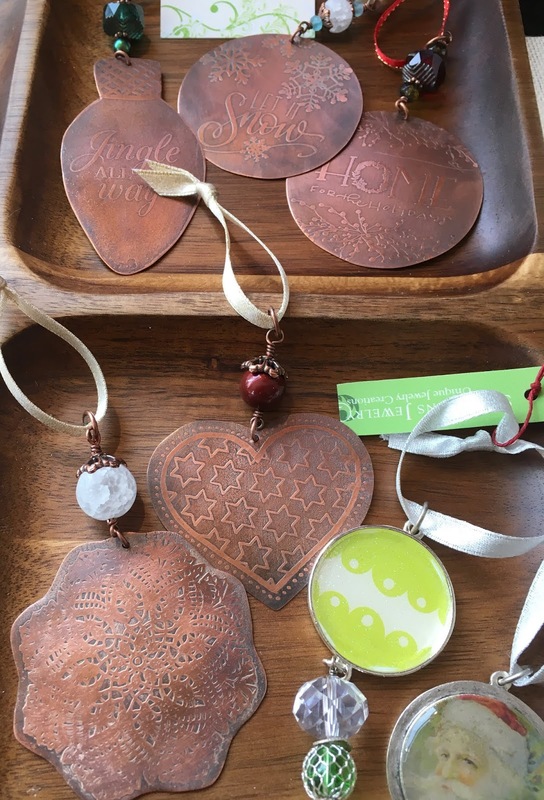 But the etched copper ornaments are probably my fave!! The heart with the stars-perfect. I have never etched with salt water. hmmm I must give it a try instead of the PCB etchant. My favorite piece is the bracelet. I love the blue beads with the copper. It has a real beach feel to it. Well done! I find your bracelet to be very creative. I wouldn't have thought to use the blue beads the way that you have done. Great job! 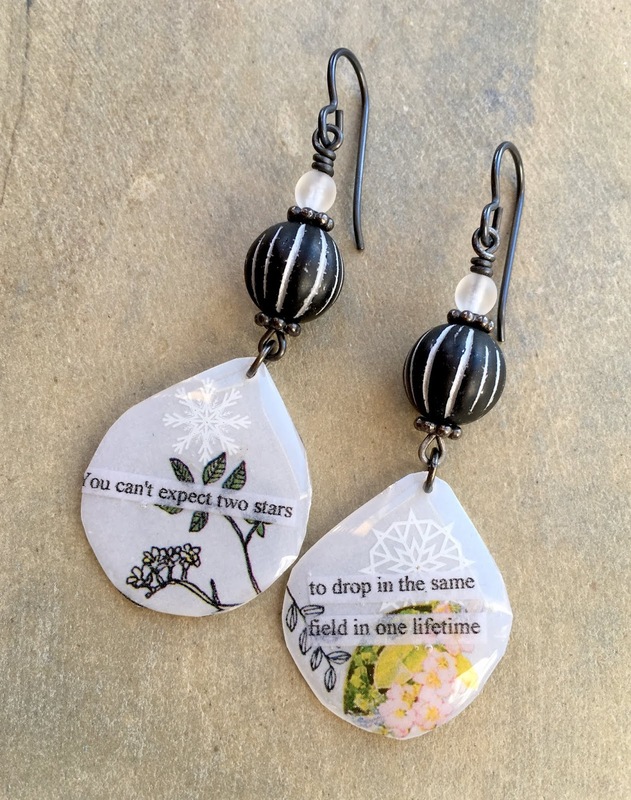 I love all your pieces, but that quote....and those earrings. LOVE!!!! Thanks again for participating in our monthly challenge! Wonderful designs, especially the earrings... I love that quote! Great job, i do love those earrings too! I love the beads you put with them! Oh, I really like all your contributions for this challenge. Each has its own personality and life to it. I'm curious about your salt water etching though. I'm going to have to look that up. It sounds far less toxic than the method I've used. Here's hoping the other 4 go quickly! All of your jewelry is awesome, as usual, but I'm drawn to the bracelet with the drop beads on jump rings. That's a look that I really like. But, being a metal-holic, I have to say I LOVE the salt-etched ornaments. Do you use a battery? Love the bracelet, and the quoted earrings are really unique! For me, the Christmas ornaments take the cake, though! The bracelet and earrings are gorgeous and I especially love how you beaded the links on the bracelet chain. But oh how I love those etched copper ornaments. Simply divine. Love all your pieces for this hop, especially those clever earrings. Such a different take on the theme.